I was going to do this profound post about appearance versus reality – how just because a fellow writer looks like they’ve got the world on a string doesn’t necessarily make it so. But, I don’t feel like being profound this morning. It’s a dark, rainy day here in New England, and I feel like doing something fun. 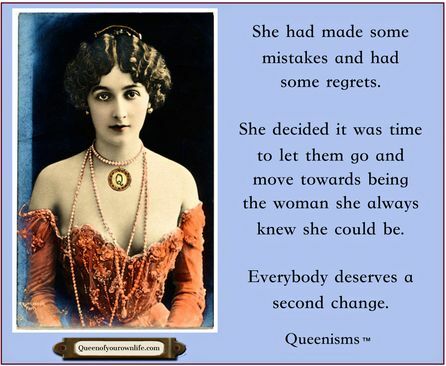 A few years ago I read a book called Queen of Your Own Life by Cindy Ratzlaff and Kathy Kinney. It’s a quick, funny read with some really great reminders about how women need to reclaim themselves as they get older. I loved it so much so that I visit their blog regularly. If you want a sample of what “Being Queen” is all about, just click on the Queenism at the top of the page. Or visit www.queenof yourownlife.com. Last month Cindy spoke at RWA on social media. 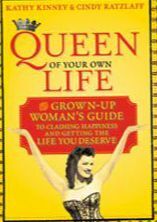 I was so psyched to learn that they were giving away copies of Queen of Your Own Life. In fact, I was so excited, I snagged four extra copies to give away. All you need to do is leave a comment. That’s all. A comment. No promo. No trying to put you on my newsletter mailing list (although I’d love if you did subscribe). Four random winners will be selected.